Back in October, I posted some photos from photographer Sibylle Pietrek’s blog Gartenblick (Garden View) of her small dachterrasse or roof terrace. Today, I wanted to show you her garden on the ground — on a mid-summer morning, a few days ago. Sibylle says that the garden at the back of her rowhouse is 450 sq. meters (4,844 sq. ft.) and “close to town,” which would be Dusseldorf. I love the combination of clipped boxwood with the mix of flowers and grasses that, lit from behind, conjure up a sliver of meadow. 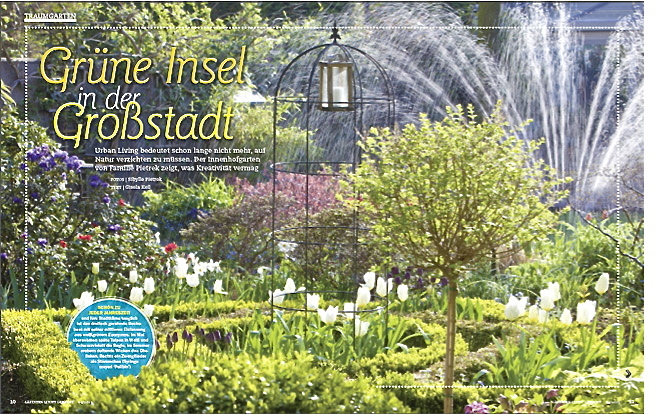 Sibylle’s garden and her photography have also been featured in the magazine Gärtnern leicht gemacht (Gardening Made Easy). All the above photos: ©Sibylle Pietrek, used here with permission. Of beauty, feeding on joy’s luscious hours. . . Her roof garden, in the October post — link above, is one of the best I’ve ever seen. The photos above are of her back garden. I really like the mix of clipped boxwood and wavy grass and flowers. 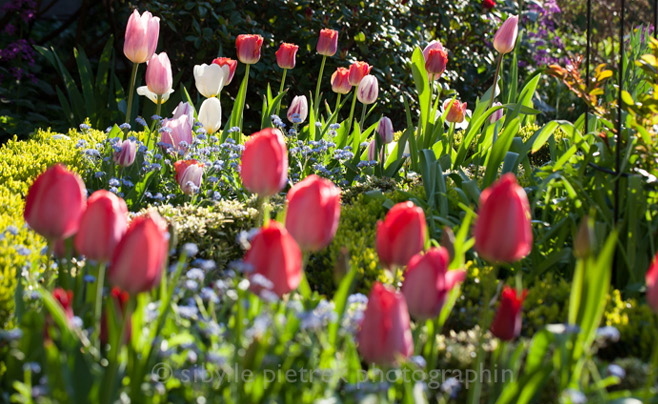 Thanks for sharing this lovely garden, Cindy! Truly a gem. I love the formal lines balanced with the relaxed plantings. A wonderful combination. 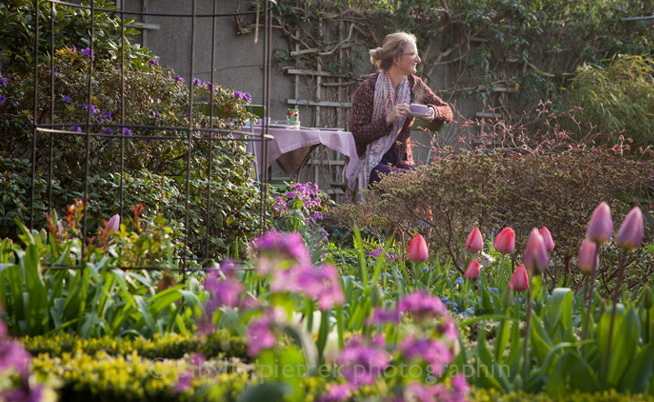 It’s so charming, and be sure to take a look at her roof garden at the link above.